Its the surgery that´s more realized on a global scale. It´s the removal of fat deposits accumulated in different parts of the body, wich can be perfomed with either conventional tecniques of with 6 technical moderm ultrasound ( technical vasser and lisonyx) that allow less pain, less swelling and recovery more quickly. He is perfomed with general or epidural anesthesia, duration of 2 to 4 hours, ambulatory or 1 day hospitalization. The next day is recommended to star massage for 10 to 15 days, the recuperation in 1 week and the final results of 3-6 months. It consists of the removal of excess abdominal skin produced by pregnancy and sagginess for weight loss and obesity, accompanied by lashing or tighten of abdominal muscles leaving a scar in the lower abdomen that is very unnoticeable by the underwear. 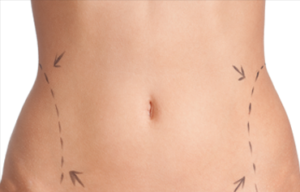 This procedure is usually accompanied by liposuction at the waist making a pleasant and almost permanent result. Recovery is 2 to 3 weeks. It is the resection of the excess skin of arms and inner thighs do, to the majority of cases of loss of weight or bariatric surgeries. The scars can be camouflaged in the folds corporal according to the technique. The recovery is 2-3 weeks. This procedure is placing implants between the greater and lesser gluteal muscles. 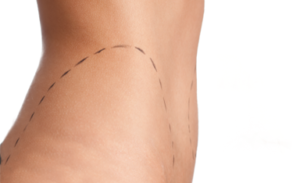 and minor of cases, placing or injecting fat in the gluteal region when liposuction is performed, it is faster, less risky and excellent results are obtained, since the injected fat comes from the same patient, in addition, when this procedure is being done its handle with a special process of purification to keep that fatty percentage over time. Recovery time 3 days.